How To Create Blog With K2? What is K2? K2 is a content platform for Joomla! which is perfect blogging. This guild will show you how to Create Blog With K2? After you’re up and running wit your site and ready to start blogging, then you the following rules to boost your site visits and avoid making the common K2 mistakes. Step 2. Select “components” / “K2” / “items” ( If you haven’t web development knowledge then you should leave all other options in the K2 menu untouched. existing items, publish/ un-publish items, and even delete items here. Step 4. Click on the “New” button to create a new item ( blog). Step 5. Writing your K2 item and make any edits using the detailed instructions below. Step 6. Click on the “Save anf Close” to save everything you’ve done. Otherwise the item will remain locked and other website administrators will be unable to access it. Add a Title for your blog, don’t forget to insert keyword/ key phrase into the title to optimize your new blog for search. – The Title alias (URL) will be the link to your new blog page. Once your blog goes live, the Title alias (URL) should NEVER be changed, otherwise you will lose your social shares, backlinks from other websites to your article plus any potency that the page has achieved in search engines rankings such as Google. – The page URL (or link) should be descriptive, pertinent to the k2 article and human readable. Just make sure that the URL is identical to your item Title. When you build a website, your webmaster will have set up a selection of K2 Categories. Changing the Category field will move the item to a different section of the website. If your item has been published for more than a few days, always check with your web agencybefore changing the Category field. Publish is a straight-forward yes/no field that will publish or un-publish your K2 blog item. You will write the content of your new page here. Your content should be minimum of 1000 words, and ideally around 2000 word of high quality, informative copy. Text editors often adding lots of unnecessary code to your page, making your website slower to load, and harder for Google to rank. You should choose a striking image that reflects your blog will work wonders for your article especially on social networks. Meta Description is what will show up in Google search listings. 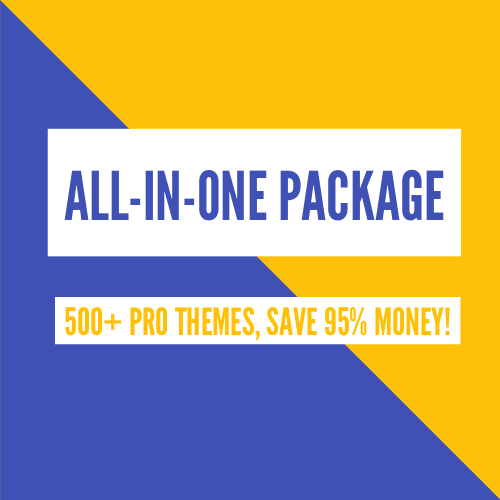 You should use your description to laborate on your page title and give your potential audience a better idea of what will be on the page when they click. A well written Description will ensure your website stands out and will improve your click-through-rate. Note: Google shows 150 – 160 characters (including spaces) of a page’s description (aka meta description tag). If your Description exceeds 160 characters it will be truncated. You can add your images into K2 blog item by using the image button (below the Text Editor). Place your cursor where you want to insert image, then click on the “Image” button, it will appear a pop-up window. Now, you can select the image directly from your server or upload from your computer. Align image to left or right or center. Add a short description for your image in the Image Description. As Google cannot see your image, it will use this description to enhance it’s understanding of your page – this can help improve your search ranking. Step 1. 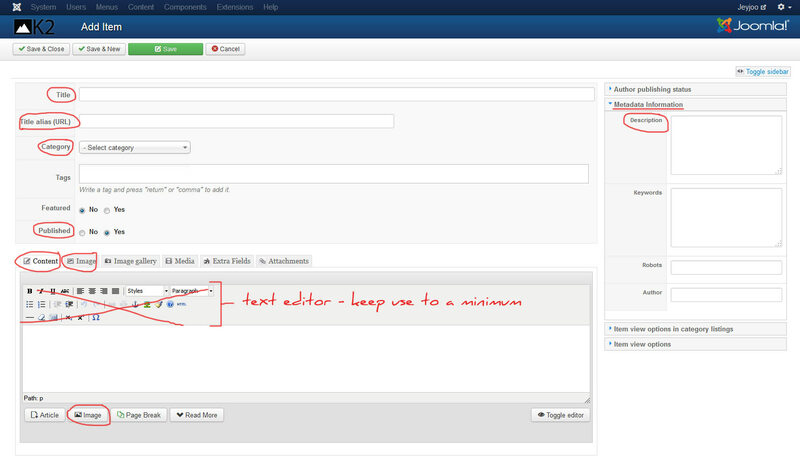 Login to your Joomla Admin Panel. Step 3. Click on the item you want to edit. Step 4. Edit your K2 item according to your liking. Note: Once your item (blog) is live, never change the Title alias (url) field or Category unless otherwise instructed by your web agency. Thanks for your reading, and if you have any questions with this blog, don’t hesitate to let us know by leaving a comment. If you found it useful, please share with other Joomla website owners using the social buttons provided.